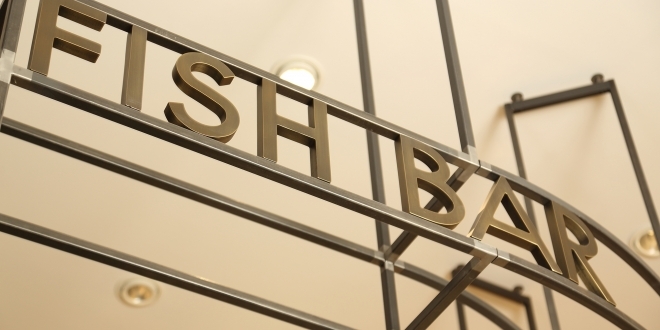 Take a stool at our marble-topped fish bar, order a drink and have a gossip with the chef whilst he cooks – fish is prepared and cooked from the counter creating a dynamic environment and engaging relationship between our chefs and customers. 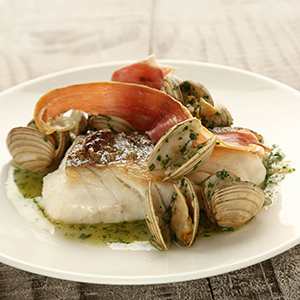 Part of our philosophy is to cook what we sell, therefore our menus are constantly changing. 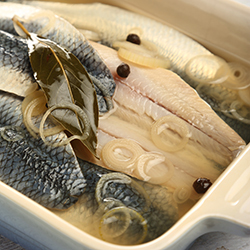 We use what’s available in our wet fish counter to produce simple, yet creative, seasonal seafood dishes that are designed to satisfy. Expect to find snacks, small plates and large plates. 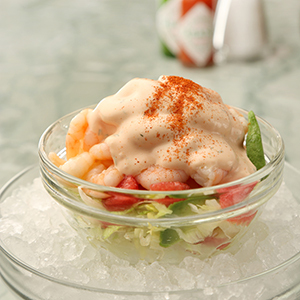 We’re talking Oysters, Seafood Cocktails, Tuna Tartare and Seabass Ceviche. 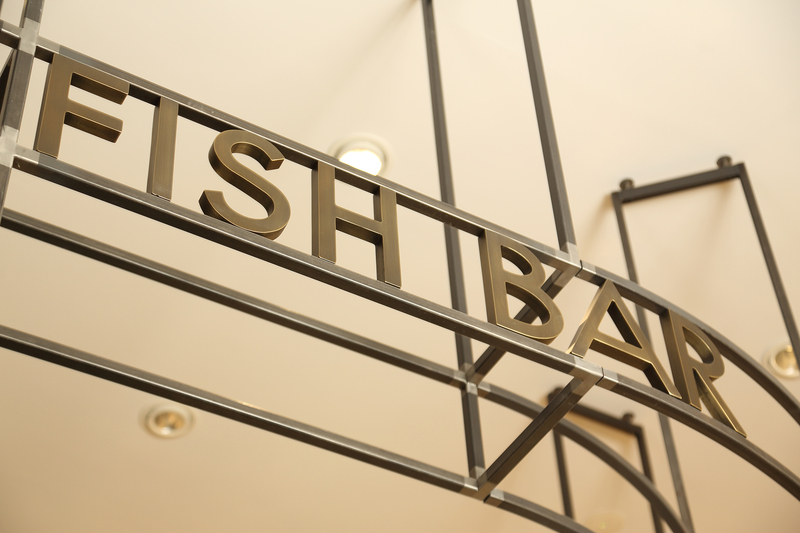 Fish Pates, Smoked Salmon Croque Monsieur and New England Lobster Roll, Crispy Squid, Ligurian Fish Stew, Simply Grilled Halibut and French-style Fruits de Mer Platters – there’s a diverse range of fish and shellfish to match every mood or time frame. Please note that our Fixed Price Menu changes weekly and that although we endeavour to keep our online menus up to date, menus on offer in the restaurant may differ. 2 courses £18.50, 3 courses £20.50. Available 11.30am till close. If it’s Oysters that excite you, Happy Hour is not to be missed – available Sunday to Fridays between 3pm and 5pm when Oysters are just £1.10 per shuck. 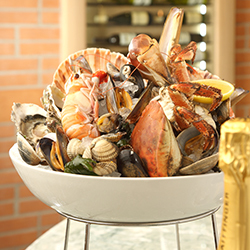 Presenting our luxurious Seafood Platter. 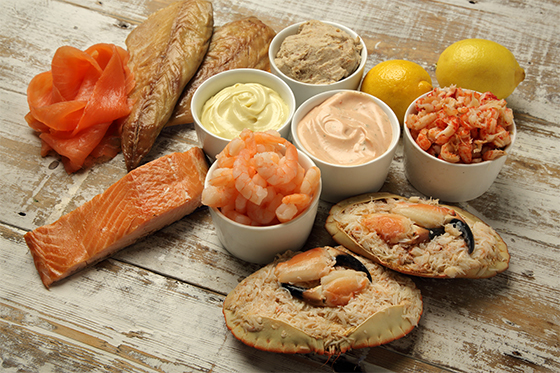 Requiring no cooking, the platter includes 2 Dressed Crabs, 100g Cooked King Prawns, 100g Crayfish, 100g pack Smoked Salmon, 100g Hot Smoked Salmon, 100g Kipper Pate, 1 packet of Smoked Mackerel, with Marie Rose and Mayonnaise and 2 Lemons for £39.50. Available for pre-order (24 hours notice required) on 0191 239 6613.